Robert Downey Jr. stars as big city lawyer Hank Palmer, who returns to his childhood home where his estranged father, the town's judge (Robert Duvall), is suspected of murder. He sets out to discover the truth and along the way reconnects with the family he walked away from years before. Starring alongside Downey and Duvall are Vera Farmiga, Vincent D'Onofrio, Jeremy Strong, Dax Shephard, Billy Bob Thornton, Melissa Leo, Leighton Meester, Ken Howard, Emma Tremblay, Balthazar Getty, David Krumholtz, Sarah Lancaster, Grace Zabriskie and Denis O'Hare. What does it mean to go home again? To face your past and be confronted by the people who understand you better than you know yourself? Some of us ache to return to the places and people that shaped our formative years, while others want to get far, far away, to build a wall between past and present that shall never fall. Hank Palmer (Robert Downey, Jr.) left his small Indiana town after high school and never looked back. On the surface, his life turned out perfect. He's a powerful, to quote Warner Bros., "big city lawyer" who represents elite and often guilty clients. He has a big home. A classic car. A daughter who loves him. And a gorgeous wife who adores him. At least that's the story Palmer tells. His marriage is on the precipice of divorce. His bravado is false, nothing more than a coping mechanism. 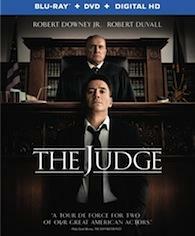 In a way, this character is like many other Downey Jr roles -- a sardonic man hiding his inner demons -- but unlike films about Tony Stark or Sherlock Holmes, 'The Judge' seeks to unravel the building blocks of Hank's pathos by sending him home again, after his mother dies, to face the one man he can't stand. Until a local ex-con, a man with whom the Judge has a complicated past, is killed in a hit-and-run. While all the evidence points to the Judge as the murderer, amazing-lawyer-Hank knows he can get his father off. The complication: the Judge doesn't want Hank involved, nor does he wish to really defend himself because if certain facts come to light, the Judge's cases over the last year could be challenged. For the Judge, his honor is at stake and he would rather be a murderer than a man who let down The Law. The question then becomes, can Hank find a way to defend his father? Or, more importantly, will Hank and the Judge ever find a way to forgive each other for the mistakes they've made? To be honest, I'm not exactly sure how to review 'The Judge'. It has a fantastic cast. It is visually daring for a drama. Individual scenes are strong, with a few reaching up into exceptional. Dialog is sharp. Thomas Newman's musical score is enchanting at times. 'The Judge' even manages to take tired genre expectations and twist them well. I would even argue, by the film's conclusion, it overall works and wins you over. Or, maybe nothing's missing at all. Maybe 'The Judge' is actually trying to do too much. As mentioned above, I would argue this movie manages to subvert genre expectations, but eventual subversion still means much of the drama hinges, structurally, on some tired tropes. We have Robert Downey Jr. playing, well, Robert Downey Jr. An elite urban dweller returning home to a rustic small town to learn a life lesson. A brother whose life Hank may have ruined. A special needs brother. A complicated fire-and-water father and son relationship. A family reuniting for a funeral. A courtroom drama. Even a high school sweetheart Hank may or may not have knocked up all those years ago. Please don't read any sarcasm into the above paragraph, or in this one, when I say that these elements feel familiar individually (for a "returning home again" story), but when combined, there's so much going on. Perhaps why 'The Judge' works in smaller moments, but not as a whole (at least for me) is that it feels like it doesn't quite balance all of its spinning plates. For example, the family drama elements are emotional. And the courtroom sequences are quite compelling. But in cutting back and forth between these two storylines, it often feels like 'The Judge' is starting and stopping. This, in turn, affects overall pacing because it doesn't really feel like a movie propelled by cause and effect. Scene A demanded to be followed by Scene B. It feels more like "and then this happens... and then this... and then this", which makes the story feel like it wanders. Despite far too many pilots beginning with a hero returning home to learn life lesson, I wonder if 'The Judge' would have been stronger with more time to breathe in a conventional television or miniseries. At the same time, this movie feels a little long. 'The Judge' is a movie brimming with wonderful elements executed quite well. I enjoyed much of it, finding the moments of humor heartwarming, and the family drama touching, particularily a scene where Hank is forced to help his father in a physical moment of weakness. The genre tropes are a little tired from time to time, until they're subverted. But there's something in the way it's cut together, in the way it transitions from moment to moment, that doesn't quite work. Overall, 'The Judge' is a good movie, but not a great one. 'The Judge' debuts on Blu-ray courtesy of Warner Bros. Home Entertainment as part of a Blu-ray + DVD + Digital HD combo pack. 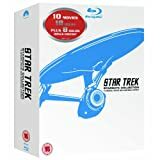 The Digital HD copy works with UltraViolet (not iTunes), and must be redeemed by 1/27/2018. Pre-menu trailers include 'American Sniper' and 'Jupiter Ascending'. 'The Judge' presides over Blu-ray on a robust AVC MPEG-4 encode framed in the film's theatrical 2.40:1 aspect ratio. Aside from a wee bit of banding, a few crushed blacks, and some blown out blue skies, 'The Judge' is absolutely resplendent on Blu-ray. Under a nice layer of textural grain, this classy production strives, visually speaking, to be a cut above your standard dialog-driven drama. Basements and courtrooms and night sequences are bathed in almost-noir lighting, angular streaks of light cutting through spaces. Characters walking in and out of light. Day time sequences are rich in color and resolution too, though the overall pallet seems a bit compressed. Skin tones are accurate. And black levels, aside from the crushing, are strong too. Overall, 'The Judge' is visually ambitious, giving an intimate movie a grander sense of scale and scope. While 'The Judge' is gorgeous visually, its 5.1 DTS-HD MA surround mix is pretty much what you'd expect for a dialog-driven drama. The dialog is the star. It's always crisp and clear. And it does a fantastic job highlighting the cast members' varying vocal tones. Surround activity is minimal, even in dramatic sequence where a tornado may or may not be blowing into town, but there is a nice sense of immersion in some exterior location. Thomas Newman's score, as always, is enveloping and charming. This is a good mix, just not an exceptional one. Getting Deep with Dax Shepard (HD, 9:21). Between takes on set, Dax Shepard sets out to be the next Charlie Rose, poking fun at the whole behind-the-scenes interview. 'The Judge' features an all star cast in a compelling drama that mixes courtroom elements with family conflict about a stubborn father and son who must find a way to work together and mend old wounds. It's an effective movie that works moment to moment -- particularly a sequence where the young Palmer cares for his father when he himself cannot -- but doesn't quite come together as a whole. I'm not quite certain if something is missing, or if this production is trying to fuse too many genre elements in too little time. Not a home run for me, but I imagine some viewers will love it. As a Blu-ray, 'The Judge' offers up a resplendent video presentation, a solid audio mix, and a nice (but light) collection of bonus materials. Fans are encouraged to purchase. For everyone else, give this one a rent first.